Father Bonnie Fernandopulle is an extraordinary man. 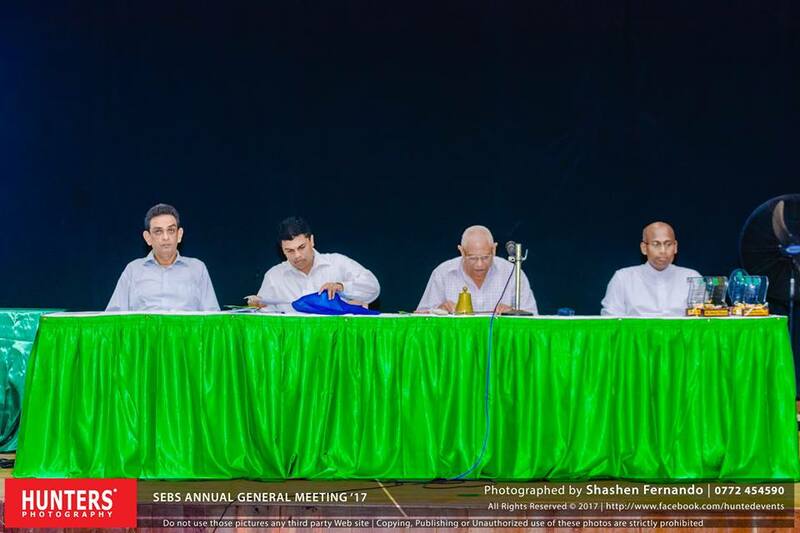 I met him 14 years ago when he came as the Head of St Sebastian’s College, Moratuwa. The grass then on the cricket ground was patchy and dusty with neglect. A sore sight for sure. That I remember well. There is no need for me to give a ‘ball by ball’ description of the rest of the school. It certainly was a time when St Sebastian’s was drifting in the doldrums and sadly without a rudder. That is what Father Bonnie inherited. What ‘Bonnie Suwami’ did to my old school is easy to describe. He did everything. If Herod re-built the Temple of Jerusalem, Father Bonnie re-built St Sebastian’s College. The ‘born again’ school today stands proud and pristine, a beacon of knowledge and discipline, educating its 3500 students by a team of dedicated teachers led by Father Bonnie. All the classrooms are well-maintained and many a new building is ‘Bonnie built.’ The sports teams achieve excellent results and the college choir pole-vaulted to prominence becoming a leading singing group in the whole country. The old boys come back, class of this year and class of that year, all gathering to take responsibility to help Father Bonnie in his many splendoured projects to upgrade their Alma Mater. Keeping with traditions of religion prime place was given to worship with a new and spacious chapel that stands in the middle of the school premises. Of course the grass on the ground now is a perfect carpet of emerald green. The Irish-coloured college flag hoisted aloft announces to the world that St Sebastian’s is totally restored to its former glory and certainly gone past the bench marks that were established in its past heyday. A 25-meter pool stands in a corner. It was a joint project with CandleAid Lanka, an organisation I am associated with. I worked very closely with Father Bonnie on matters connected to the pool and its construction and operation. No, we never had tea and cakes; we just got the job done. He was a man of his word and had the vision to move forward and a scissor to cut the red tape. Had I not the deepest respect for him, I would not be writing this appreciation. Then comes the sad question? Why send him away from the haven he created when he has only two more years to serve? If it was to help another deserving school that would be logical. But the fairy tale here is different. Father Bonnie is transferred to Dehiwela as a Parish Priest. The best cricketer in the team is ordered in his final years to go and play soccer. Winning combination is changed and I have no idea why such things happen; maybe the powers that handle these matters do have their reasons. I do not know. I am like Zacchaeus looking from the Sycamore Tree merely observing and making a comment. The question here is who loses? Not Father Bonnie, certainly not him as he has more than made his mark and walks very tall in the minds of all and sundry connected to St Sebastian’s College. The sad reality of his departure will be to the school and the 3500 students who were striding to excellence under Father Bonnie’s guidance and discipline. Every year parents scramble to get their children to St Sebastian’s. That was not for the song, but for the Singer. 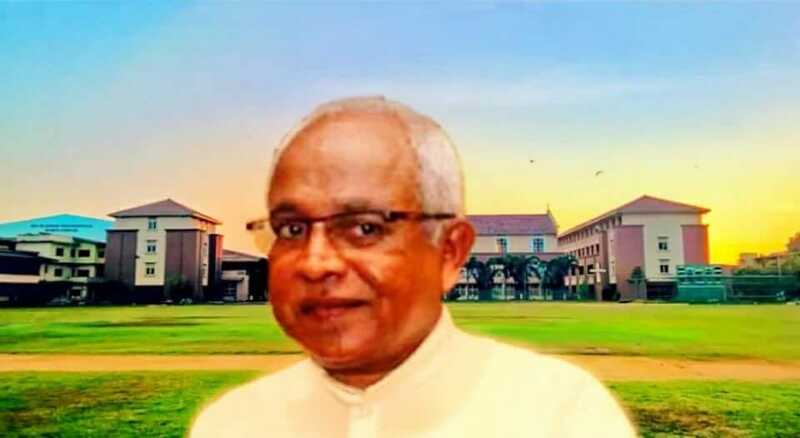 Yes, St Sebastian’s College was ‘Bonnie Suwami’, a tough man of soft words and great deeds of education that stood out to prove his unblemished credentials. Was there any objection to Father Bonnie’s continued stay at St Sebastian’s? No, I do not think so. The OBA, the PTA and the teachers and most importantly the 3500 students only wanted the ‘Good Shepherd’ to mind the flock till his retirement. Then one must ask why this excellent educationalist is moving away to run a parish? I do not think there is any conspiracy here except the rules and rituals of governance of the Catholic Church. I am well aware that what I write is totally insignificant in the transfer of Father Bonnie. But somehow I feel that the ecumenical infallible eminence of the Church could have extended to Father Bonnie the courtesy of spending his two final years before retirement at St Sebastian’s. Such tinkering of the scales of rules and regulations of the church certainly would have benefitted the 3500 students along with the hopes of their parents. When across the Lunawa Lake the Principal of Prince of Wales College was transferred, the old boys and the parents went on a vehement protest campaign for weeks and stopped the traffic on the Galle Road. That was a hue and cry that reached the highest echelons of power in the country. It would be different at St Sebastian’s. Father Bonnie would have none of that. He himself had ensured the transition is silent. So now it is “Bonnio Marks, Get Set and Go.” That is the order that came from the hierarchy. There will be no objections by vociferous students incited by the Old Boys or placard protesting parents and teachers writing petitions to keep Father Bonnie back. That is simply due to the respect they all hold for the church they worship. But somehow, one cannot deny the fact that the ‘Good Shepherd’ belongs with his St Sebastian’s flock. Bonnie Suwami has two years to go. How wonderful it would be if the powers that be in coloured robes let him play his cricket at Moratuwa and not transfer him to kick footballs in Dehiwela? And we do need the grass to be emerald green in the playing field.